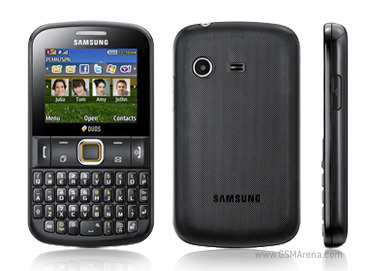 Samsung has just announced the Ch@t 222 feature phone for India. It's a compact candy-bar with full QWERTY keyboard, a 2.2-inch non-touch display and dual-SIM support with dual-standby. The Samsung Ch@t 222 features a 2.2-inch TFT display with 220x176 pixels resolution, a VGA camera, FM radio, a 3.5mm audio jack, DNSe support and 43MB internal memory expandable via microSD card slot. The Ch@t 222 has two SIM card slots and supports dual-standby so they are both online at the same time. Samsung's Ch@t 222 should be a very affordable handset but don't expect worldwide availability. The thing is, mobile operators are not particularly fond of dual-SIM handsets, so the manufacturers usually only release them in select markets such as Eastern Europe, Russia and India. how will freind requist my freind in ch@t222 ?